The designer FHK Henrion has no equal in British graphic design history. No UK designer – then or now – can match his sheer depth of accomplishments and range of abilities. Born in Germany, he trained as a textile designer before becoming a skilled and celebrated poster artist. As a British citizen after WWII, he designed publications, exhibitions, household products, interiors and jewellery, and in the 1960s he became the founding father of modern corporate identity in Europe. He had an exceptional talent for rational and systematic graphic design at a time when design was still a cottage industry. Almost single-handedly he created the model of the modern professional graphic designer. Henrion was also a notable design educator, and an energetic spokesman for his profession. He published books, wrote articles, lectured extensively and was the force behind numerous design organizations. He was admired and liked by his employees, pupils and associates, and especially by his clients. But he was also a designer with a social conscience, and a designer who rebelled against the over-commercialisation of the design profession in the 1980s. 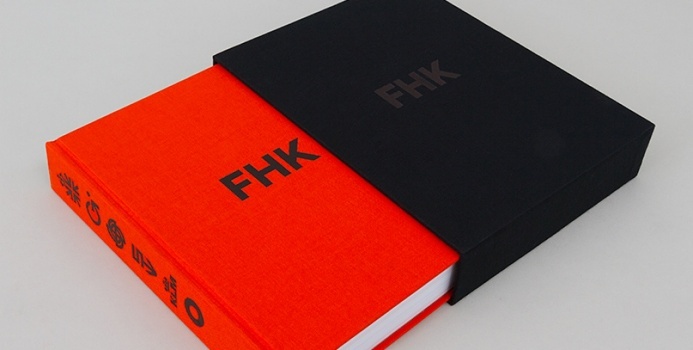 This book is the first comprehensive monograph of the work of FHK Henrion. Lavishly illustrated and designed with precision and flair, it charts his early experiments as a pre-war poster artist and culminates in his work as the creator of some of the most celebrated – and enduring – logos and identities of the 20th century, including Tate+Lyle, KLM, Blue Circle Cement and LEB. FHK Henrion was the complete designer.